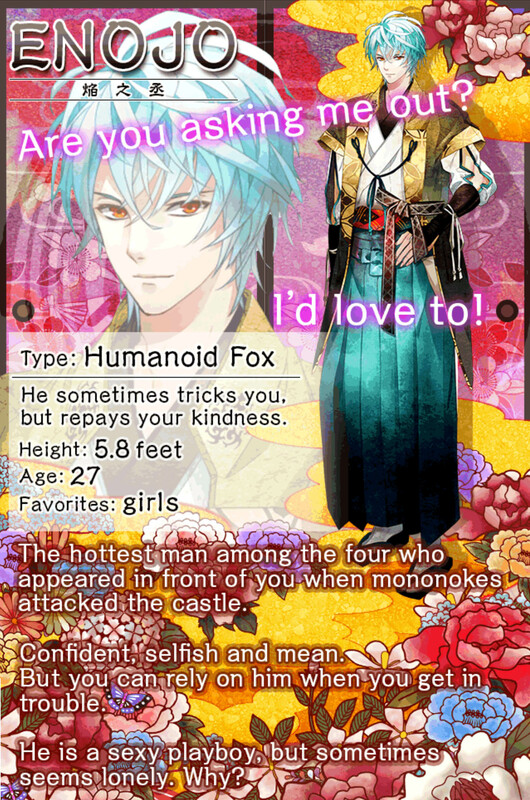 Enojo is a tsundere fox humanoid in Mononoke Kiss that you can romance. To view the CGs from his route please click here. Is this from where we were attacked?